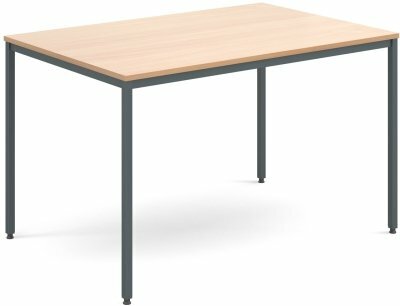 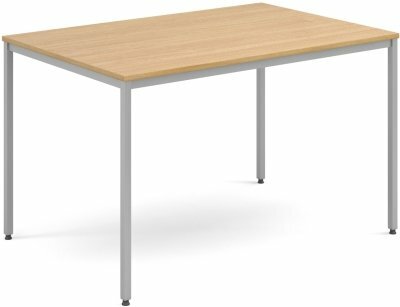 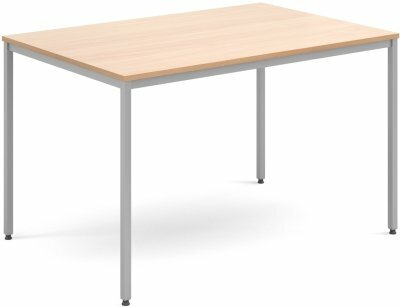 1200mm wide flexi table with graphite frame and an 18mm thick scratch resistant MFC top available in three wood finishes complete with ABS edging. 16 gauge steel frames and legs which are powder coated in a graphite grey finish. 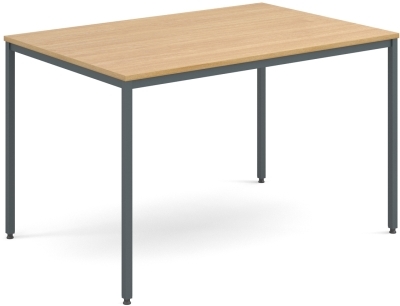 Spiral stacked for easy storage and the legs include a foot leveller.